In the run-up to the 2019 Lok Sabha polls and with the model code of conduct in force, law enforcement agencies have seized explosive material weighing more than three tonnes in Uttar Pradesh. Under the ongoing campaign to ensuring free and fair elections, the district authorities in the state have impounded 3.17 tonnes of explosives and also cancelled the arms license of nearly 200 people, according to the UP Chief Electoral Officer (CEO) L Venkateshwarlu. Besides, more than 250,000 licensed arms have been deposited with the district authorities for maintaining law and order in the election season. Restraint order had been issued against 0.9 million persons and non-bailable warrants executed against nearly 8,000 individuals so far. Unaccounted cash worth Rs 5.80 crore has been seized, while the excise and narcotics departments impounded 500,000 litres of illicit liquor worth Rs 15 crore and Rs seven crore worth of psychotropic substance respectively across the state. Meanwhile, two million posters, graffiti, wall writings, and banners have either been removed or covered under the model code of conduct at public and private places across the state. Additionally, 74 police first information reports (FIRs) were registered in cases of violation of the provisions of the Motor Vehicles Act. Similar action was taken with regards to the breach of code by use of loudspeakers and police cases filed. The model code of conduct had come into force on the evening of March 10 after the Election Commission of India (ECI) had in New Delhi announced the polling schedule for the Lok Sabha polls. 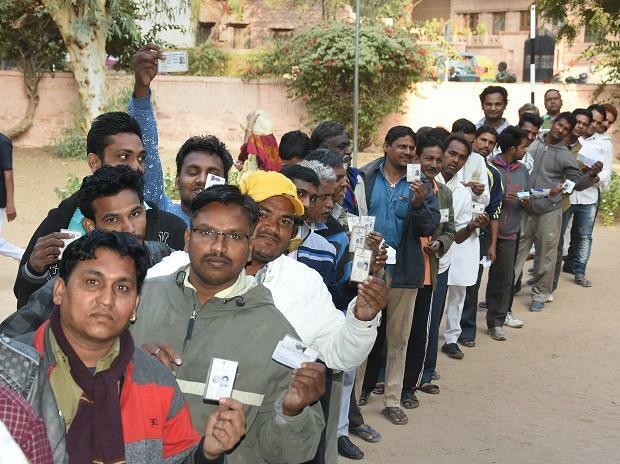 In UP, more than 144 million electorates would exercise their franchisee, including more than 77.9 million males, 66.1 million females and 8,374 third gender voters. A total of 91,709 polling centres and 1,63,331 polling booths would be set up. The seven phases of polling would witness voting in 8, 8, 10, 13, 14, 14 and 13 constituencies respectively spread across 75 districts in UP. Meanwhile, the process of filing nominations for the first and second phases of polling 8 Western UP constituencies each had started and till yesterday evening, 6 candidates had filed their papers. This process is likely to gain momentum after the Holi festival. Recently, UP chief secretary Anoop Chandra Pandey had directed the district authorities to keep tab on the social media, so that it is not used by unscrupulous elements and mischief mongers to spread canards and fake news. Besides, the district police had been directed for ensuring regular foot patrolling, especially in the sensitive areas in wake of Holi and ongoing elections process.